In Mid-April, Greenwood Energy Solar Holdings activated its landfill array. After three months, the facility is exceeding expectations. “We are at or above where we are supposed to be with our output,” Campbell told the Lee Planning Board last week. Conti installed over 8,000 photovoltaic modules on a mix of RBI Solar’s post-driven and ballasted racking systems using Solectria PVI 28 TL inverters. 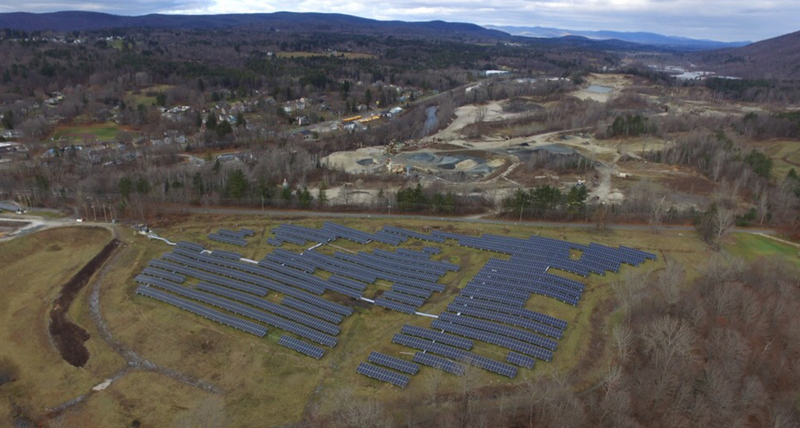 Once construction was complete, Conti tied the PV system into the existing Eversource distribution system. Willow Hill sells power to the towns of Lee and Lenox, as well as a small piece to a low-income housing authority through a net metering purchase agreement. “Our team prides itself on delivering top quality projects for each customer, and nothing makes us happier than seeing the ultimate result: communities that benefit from our work,” said Matthew Skidmore, CEO of Conti Solar.